I got back moments ago from the Ohio Statehouse in Columbus from this morning’s Senate Oversight Committee third hearing on Sub-HB228. This article is time sensitive and extremely important, and we’re asking to read it quickly and immediately take a few minutes to make TWO quick phone calls. More on that in a moment. But first, this morning’s committee hearing on Sub-HB228 went well. I offered testimony on behalf of the thousands of our members and supporters across Ohio who couldn’t be there, describing the benefits of strengthening Sub-HB228 with “threatened use of force,” “pre-trial immunity hearings,” how other states have passed similar legislation, the effects it has on crime rates, and more. But while the committee hearing went well, the committee has yet to ADOPT the language in the amendment. That’s why we cannot for a moment let up the pressure on this committee to UPGRADE Sub-HB228 into a real Stand-Your-Ground bill. Chairman Coley confirmed to me that he had the amendment from Senator Jordan, and that our testimony made sense. He then told me that the Republican senators were going to “caucus” (a private meeting amongst legislators) about the amendments before the next hearing, which is scheduled for tomorrow morning at 9:00am! 1) Call Senator Bill Coley’s office right away. His office phone # is (614) 466-8072. 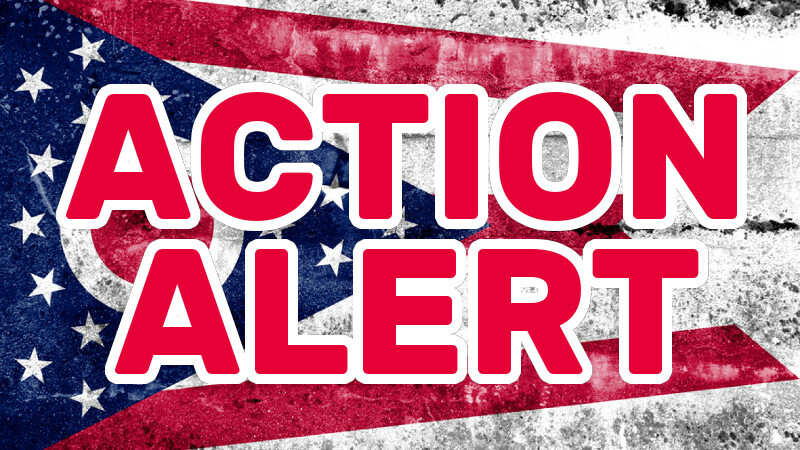 When you talk to Senator Coley’s staff, please tell them that you’re a gun owner, and you want the Government Oversight Committee to adopt Senator Kris Jordan’s strengthening Amendment, amendment #3294, and pass Sub-HB228 as amended out of the Senate Government Oversight Committee! 2) Call Senator Larry Obhof’s office right away, as well. His office phone # is (614) 466-7505. Tell Senator Obhoff’s staff the exact same thing, that you’re a gun owner, and you want Senator Obhof to support the Government Oversight Committee’s adoption of Senator Kris Jordan’s strengthening Amendment, amendment #3294, to Sub-HB228 and passage of Sub-HB228 as amended out of the Senate Government Oversight Committee! I know that’s a mouthful, but it’s as simple as that. If the staff doesn’t answer or it is after-hours and you get an answering machine, please leave a message! This amendment, which you can read by clicking HERE, along with the changes made in the underlying bill, would make Ohio one of America’s best self-defense states. As OGO staff discussed with several key legislators today, if this amendment gets adopted in Committee tomorrow morning and passed on the Senate floor tomorrow, it could get sent to the House for a concurrence vote and be passed before the end of the day on Thursday, or maybe Friday. Time is of essence, so please call both of the numbers listed above right away, and then tell your friends to do the same thing! Keep fighting – don’t hold back now.